In this picture is what is known as a nuc box. 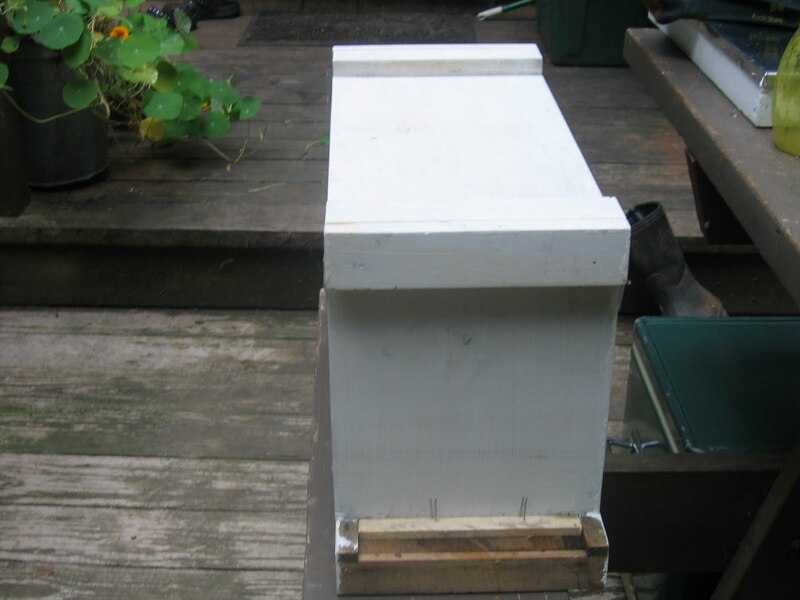 It is a smaller version of a bee hive and is used for capturing swarms as well as starting a new hive. Today I placed a few frames of brood (baby bees), honey and empty frames. They will remain in here for about a week in my cool basement. They are taped and locked in here, and this will trigger them to raise a new queen. In two weeks I will put them in a new hive body and hope to start a new hive. This is my first time trying this so I am excited to see what happens, as I continue to evolve in my bee keeping efforts I learn and also hit my more experienced bee keepers friends with advice. Thanks to David and Ralph who always seem to have the answers to my questions! Today I also was able to locate both my queens and mark them. I attended a class recently with the "Backyard Beekeepers Association of Ct" and learned how to locate and mark the queens. I was excited because it was done with little effort on my part and all because of the techniques I learned from them!